Golden Globe is like a big festival where international media eyes upon celebrities' style, their dresses and accessories etc. I was also curious to see what these top celebrities in their beautiful evening gowns wore on their nails. So while googling I found some celebrity pics flaunting their well groomed nails . I was hoping to find some nailart but I couldn't except one. Check out the pictures below if you are interested. Julianne Moore is flaunting a beautiful silver grey gown but no bling on nails :( very plain for me. I loved how Kate Bekinsale matched her nails to her clutch and her manicure really compliments her outfit. Here is Kate Mara . Loved her red gown but I don't know why she wore black nails with it ? May be for a contrast !! I think this is one of the perfect matching mani. 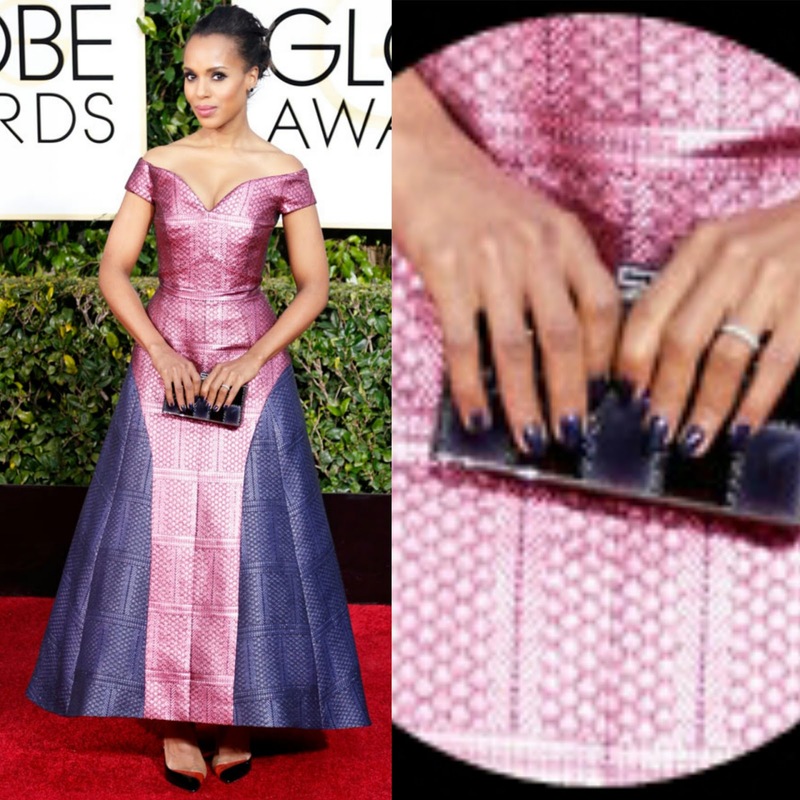 Clutch matching dress and mani also matching clutch and dress :) Love it Kerry Washington ! Red Nails rocked by Edie Falco. I think it looks pretty on her. Some really beautiful long nails !!! J-lo looking so hot and her nails are so perfect ! That's it folks! It was fun doing this post. I downloaded the images from google images and then edited to get manicure pics from each since it's cropped so may be not very clear to you. But I hope you enjoyed it. Stay tuned for my next post as I will be sharing some nailart inspired by celebrities' dresses ! 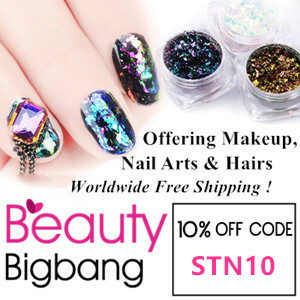 Let me know which is your favorite look and what you think about celebrities not wearing nailart much ! !